All the fuss regarding the Huawei Mate 20 series was brought to an end yesterday as the company unveiled the Huawei Mate 20 series in London. 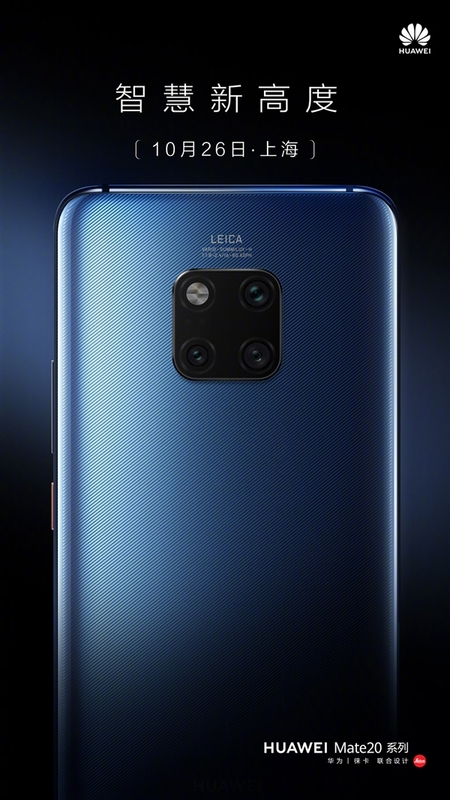 The speculations were mostly around Huawei Mate 20 and Mate 20 Pro but the company also released the Mate 20, Mate 20 Pro, Mate 20X and the luxury Mate 20 RS Porsche Design. Well, China, being the largest smartphone market in the world cannot be left out and the company has just announced that these smartphones will be released in the Shanghai Oriental Sports Center on October 26th. One of the major selling points of the Mate 20 series is the innovative four-point matrix design for the square lens module. Our launch posts for the Huawei Mate 20 & Mate 20 Pro as well as that for the Mate 20X and Mate 20 RS Porsche Design has all the details of these smartphones. However, there was a lot of hype surrounding the performance of the Huawei Mate 20 series especially after the release of the 2018 iPhones. Huawei said that its Kirin 980 7nm chip will outperform Apples A12 Bionic 7nm chip. Nevertheless, it appears that this is not the case. Performance test results from Geekbench, AnTuTu, and GFXBench suggests that the Mate 20 series is good but it’s still a distance from the best. If you thinking of owning any of these smartphones, you have to spill the case because they don’t come cheap.